Home » 2018 Senior Class – NEW! 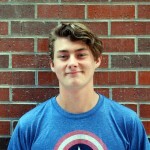 2018 Senior Class – NEW! Porter Adams – As a second year OE Track member, Porter runs in the 800m and 1600m. 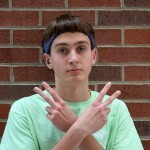 Besides Track, he is a member of OEXC, NHS and SALT. 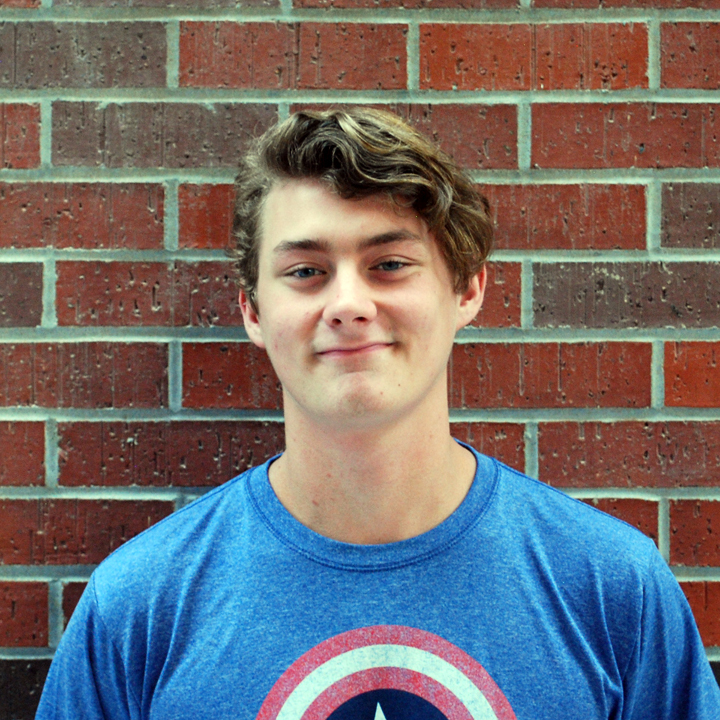 After graduation, Porter plans to attend college to pursue a degree and future career in the medical field. Favorite memory: All the relationships I have formed. Advice to underclassmen: You’ve got to learn to love to work hard all of the time. 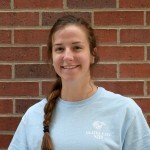 Anna Anstine – This is Anna’s 3rd year on the team as a pole vaulter. 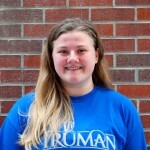 In addition to pole vaulting, Anna is also a cheerleader and Senior Cheer Captain, she played volleyball for 2 years, AVID for 4 years and participated in IPS as a peer mentor for students with physical emotional disabilities. 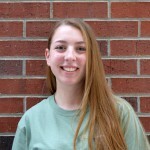 Anna has also been involved with Girls Scouts for 11 years and a camp counselor for 4 years. She has earned her CNA and plans to volunteer and shadow at local hospitals this summer. Her plan after graduation is to attend KU and pursue a nursing degree. 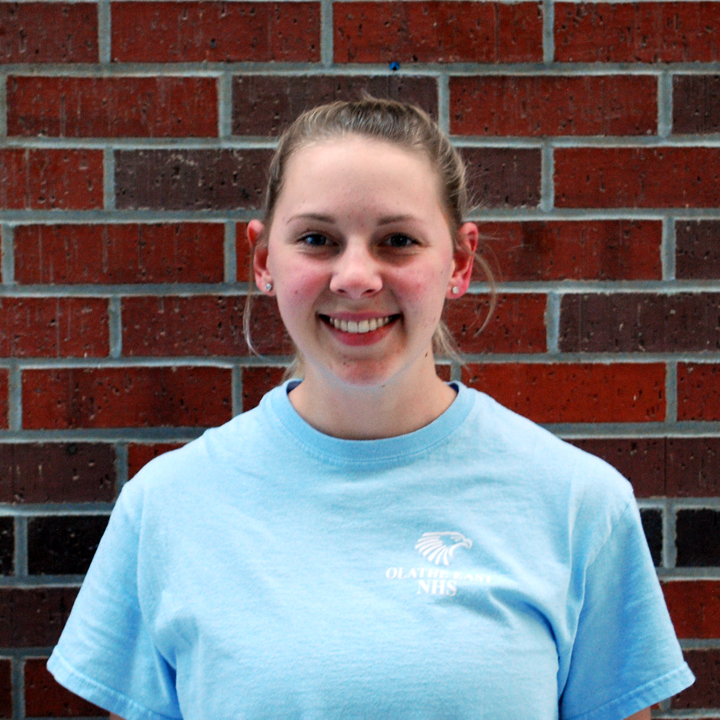 After college, Anna hopes to become a Neonatal Intensive Care nurse at a children’s hospital. Favorite memory: When Danny fell in the puddle. Advice to underclassmen: Take time to get to know others on the team, and support each other. Enjoy being on the team because the time goes fast. If you work hard, there’s no reason to fear Coach Wallace. I am going to cherish so many great memories. Thanks to all the great coaches and teammates. 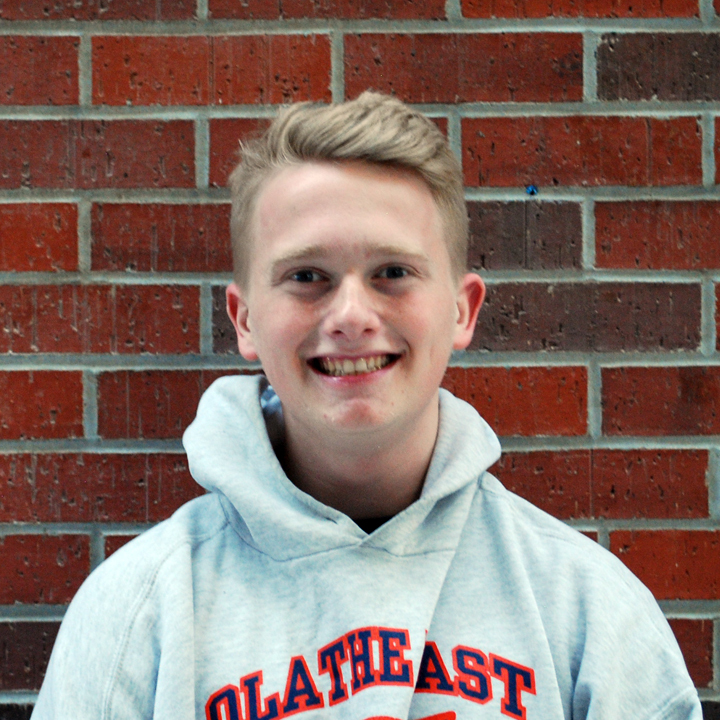 Jakob Benelli – Jakob has been a member of OE Track and Field all 4 years. His events include: 1600 and 800. 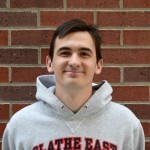 He is also a member of the OEXC team. 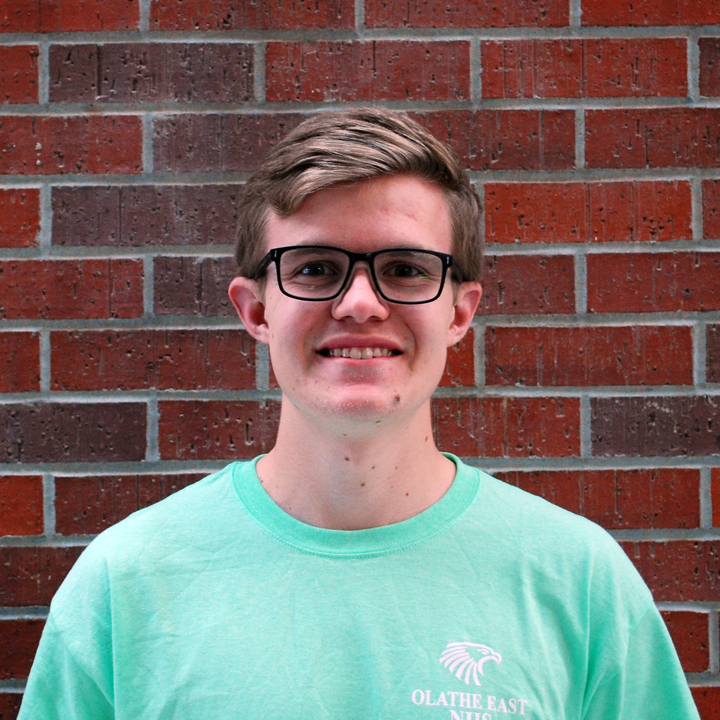 After graduation, Jakob plans to attend to Kansas State University and major in engineering. He would like to pursue a career in engineering or something related to physics. Favorite memory: Setting a PR in the 4 x 1600 with my friends. Advice to underclassmen: Enjoy track and never stop working hard. 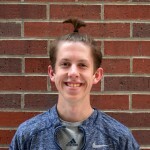 Connor Brennecke – This is Connor’s third year of OE Track and Field. His events include: 100m, 4 x 100m, 400m and 4 x 400m. 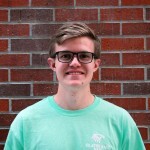 He is also involved in AVID and AVID tutoring. 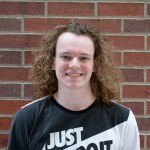 After graduation, Connor plans to attend JCCC then transfer to Kansas State University with future plans of a getting a job in a business profession. Favorite memory: Setting my PR in the 400 my sophomore year. Advice to underclassmen: Work hard and listen to what the coaches have to say because it will benefit you later. 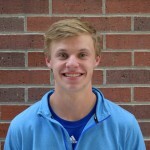 Jacob Breon – As a member of the team for all four years of high school, Jacob has mainly ran the 800m, but has run in the 1600m freshmen and sophomore year. Besides Track, Jacob is member of the OEXC team, FCA, NHS, SNHS and SALT. 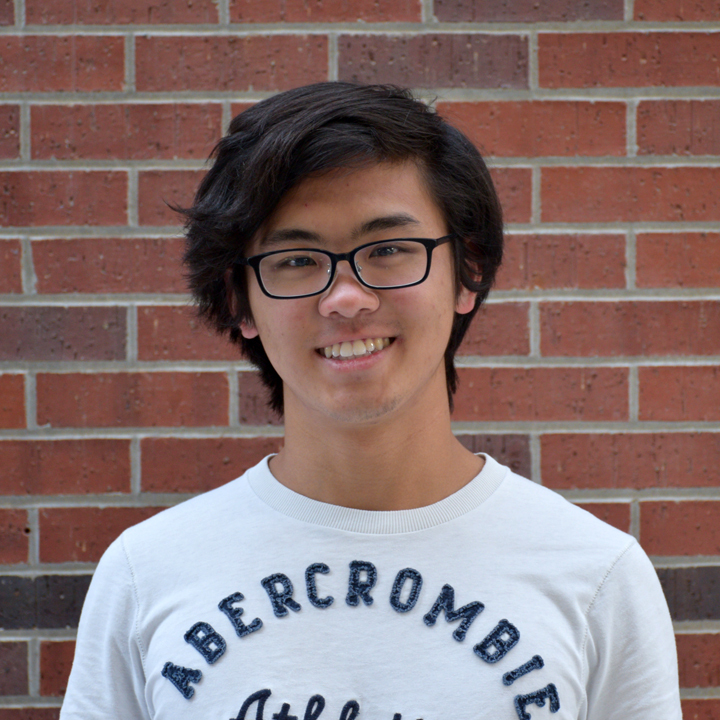 After graduation, he plans to attend Kansas State University to major in mathematics. His career plans are to become an actuary. Favorite memory: Winning Regionals in the 4 x 800 and getting to run at State last year. Advice to underclassmen: Always give 100% because you never know when you can get pulled up for a Varsity race and you want to show the coaches you are worthy. 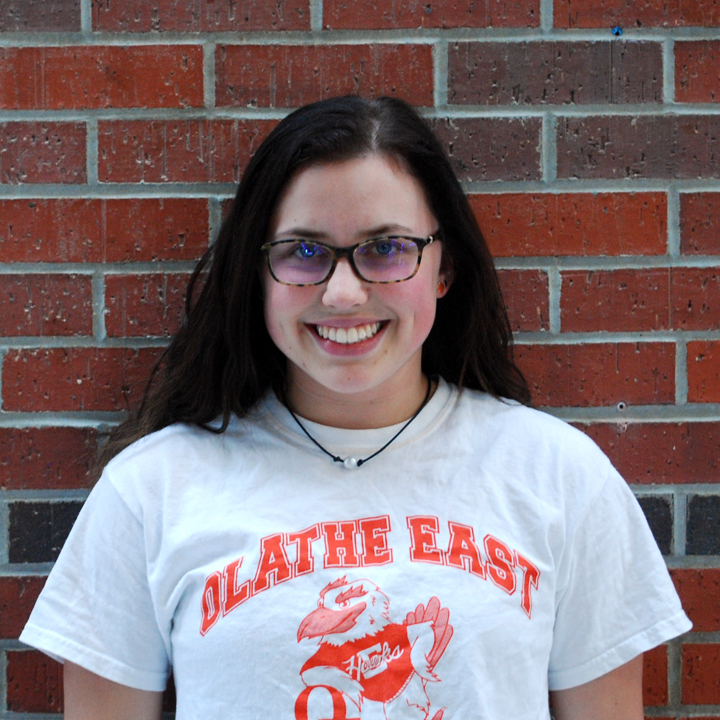 Claire Broadbent – This is Claire’s fourth year on OE Track and Field as a pole vaulter. 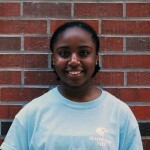 She is also involved in marching band, concert band and cheer. 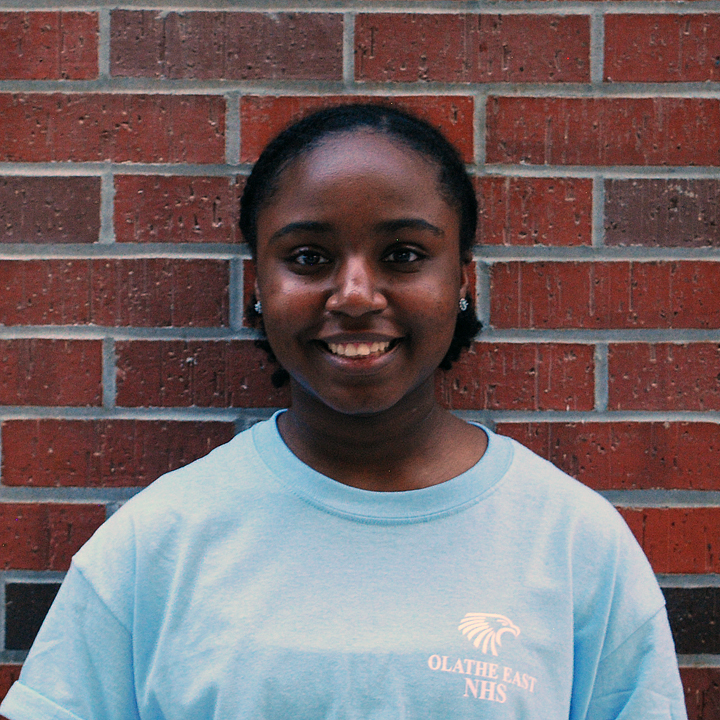 After graduation, Claire will attend the University of Arkansas and major in nursing. After college, she would like to pursue a career as a nurse anesthetist. Favorite memory: The meets and hanging out with all the pole vaulters. Advice to underclassmen: The work is always worth it. 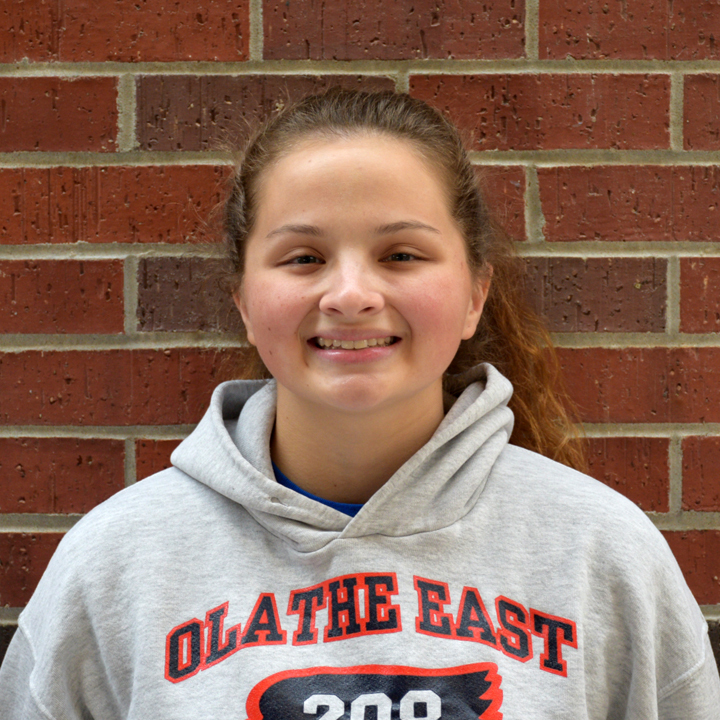 Ashlynn Brugman – Ashlynn has been a member of OE Track and Field for all four years. Her event is shot put and discus. Besides track and field, Ashlynn has been the football and boys basketball manager since sophomore year. After graduation, she plans to attend JCCC for two and then transfer to KU or KSU. 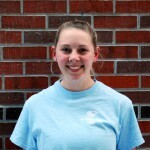 Ashlynn would like to become a heart surgeon or physical therapist for athletes. Favorite memory: Returning from a back injury last year just in time for regionals and setting new PRs in both events. Advice for underclassmen: You have to want it. If you want to be one of the best you need to put in the work for it. Also, sign up for a weights class. The weight room teaches you discipline you didn’t know you were lacking. 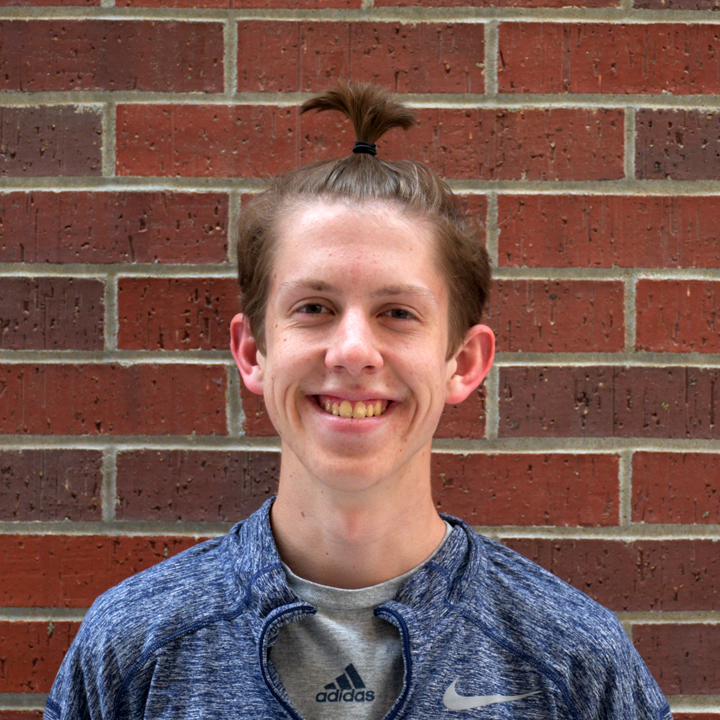 Jacob Buechler – This is Jake’s second year as a runner on the OE Track Team participating in both 1600m and 3200m events. He is also a member of OEXC, NHS and SNHS. 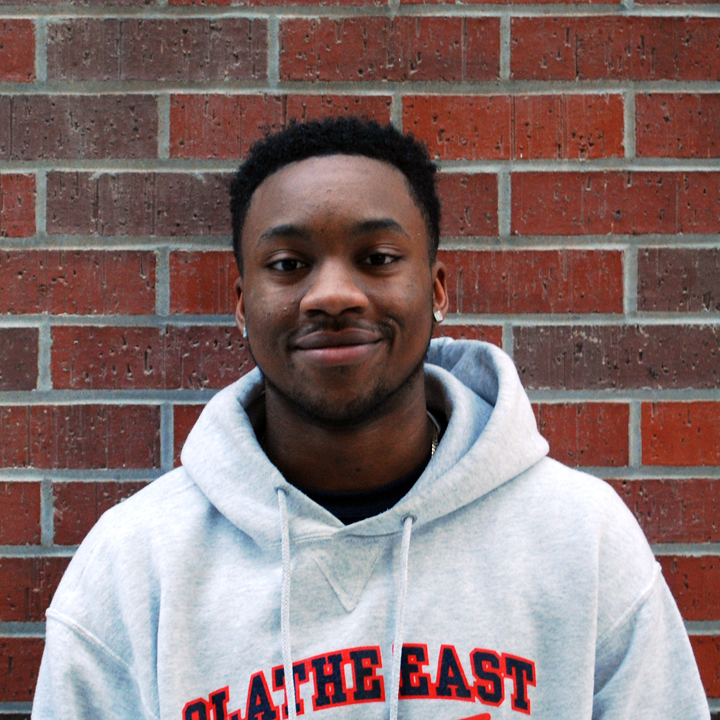 After graduation, he plans to attend college pursuing a degree and career in finance. Favorite memory: The entire meet at Sunflower League. Advice for underclassmen: Shut up and Run! 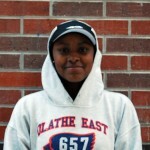 Elizabeth Carr – As a member of OE Track for 2 years, Elizabeth’s events include the 200m and 100m. 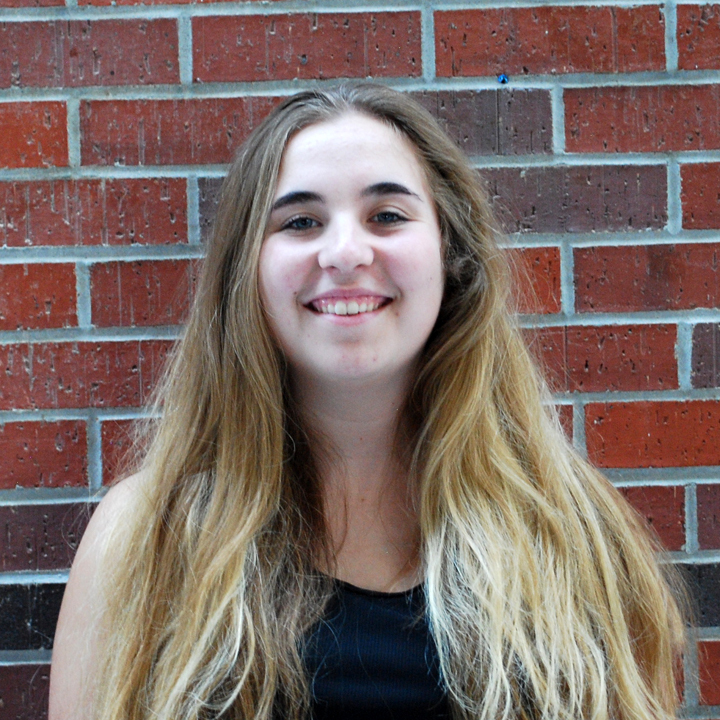 She is also a member of the OEXC team, NHS, SNHS and Hawk Leaders. 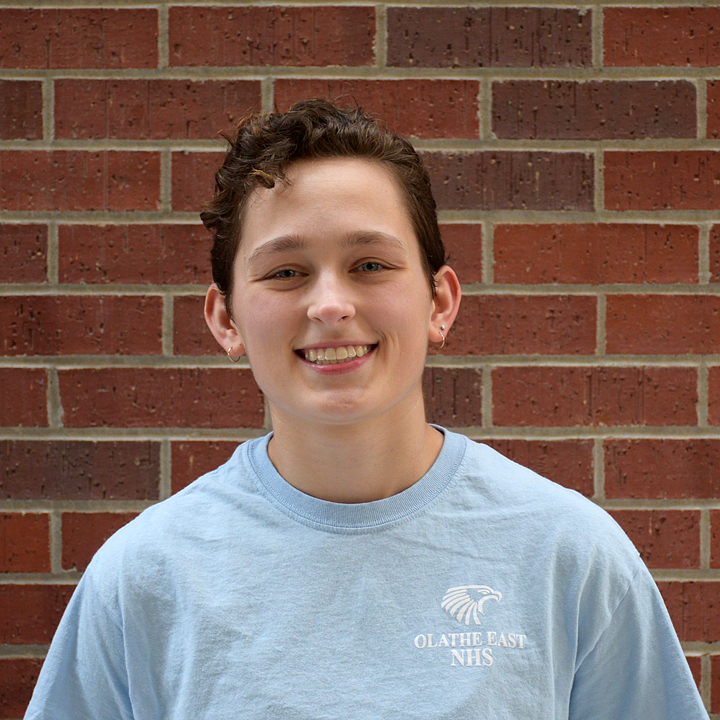 After graduation, Elizabeth plans to attend Rockhurst University and major in Biochemistry. She would like to pursue a career as a trauma surgeon. Favorite memory: Getting to be with awesome people after school. Advice to underclassmen: Stick with it and work hard. Dalton Dressler – As a thrower for shotput and discus, Dalton has been a member of OE Track all four years. 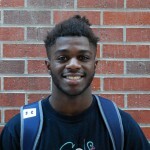 He has also participated in football and cross country. 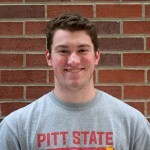 After graduation, Dalton will attend KSU to major in Business or Political Science. He is considering a career in politics or perhaps helping a company with marketing. 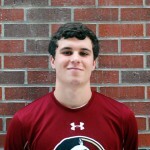 Favorite memory: Talking with my teammates before and after throws and hanging out and cheering for my teammates. Advice to underclassmen: Work hard and don’t talk while coach is talking! 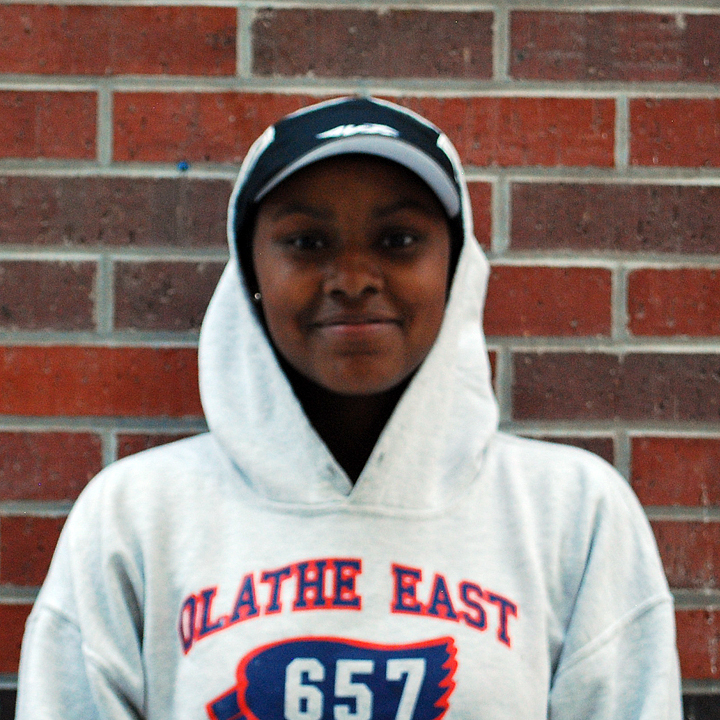 Melanie Eszter – This is Melanie’s first year on the Olathe East Track Team. She participates in the 100m and 200m. Besides track, Melanie coaches soccer to little children. 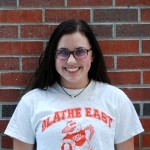 She is also involved in Spanish National Honor Society, National Honor Society, Writing Center Tutor, Newspaper, Video Announcements and Hawk Leaders. After graduation, Melanie plans to major in journalism and while she does not plan to continue track in college, she plans to keep running and stay active. 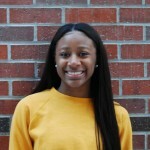 Melanie would like to become a news reporter, covering investigative and entertainment stories as well as being a news anchor. Favorite memory: Getting to make new friends and laughing at all of their jokes. Advice to underclassmen: Be true to yourself and don’t be afraid to stand out from the crowd. 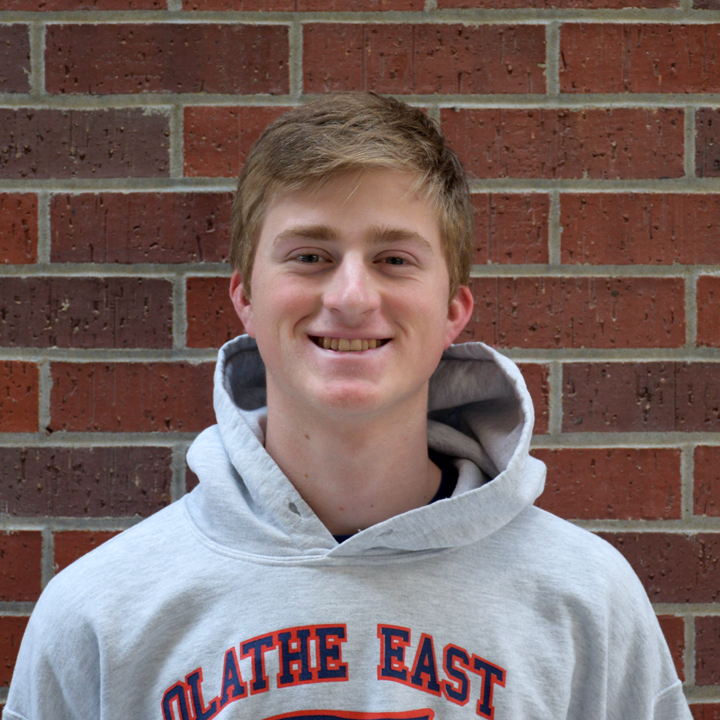 Dylan Franken – This is Dylan’s first year as a Pole Vaulter on the OE Track Team. 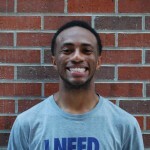 He is also involved with Prince of Peace Life Teen, Core Team and Praise and Worship Team. 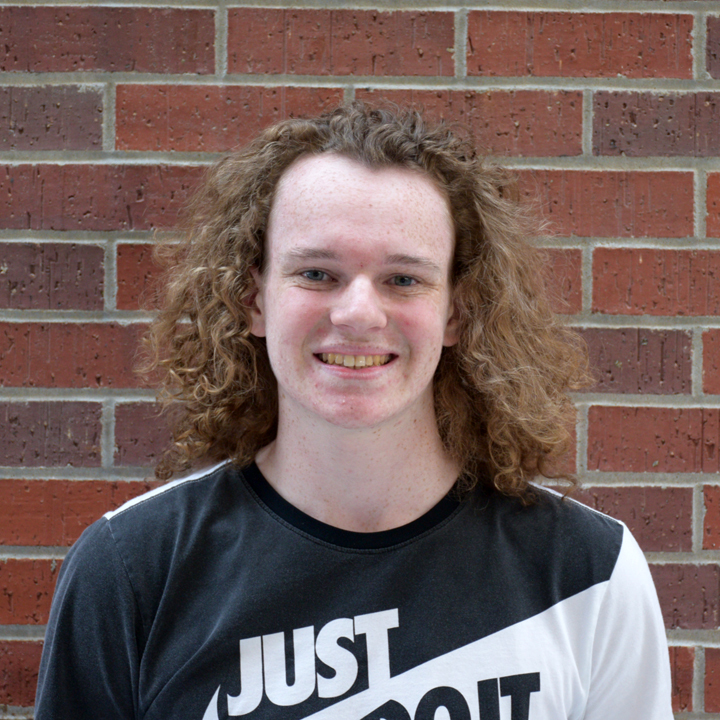 Dylan will be attending Butler Community College to study Criminal Justice or Sports Medicine. He also plans to continue pole vaulting. 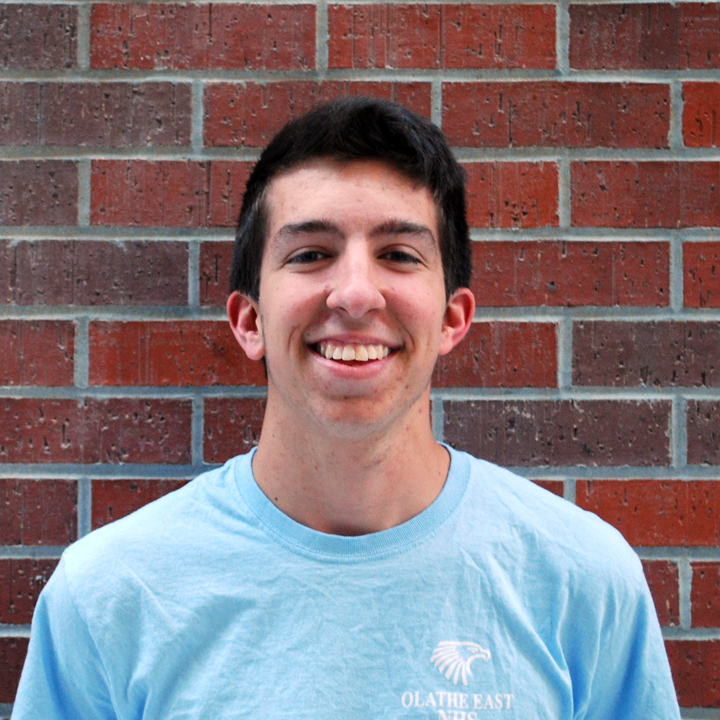 After college, he would like to work in sports medicine or as a game warden. 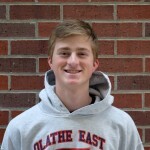 Alex Ge – As a four year member of OE Track, Alex has participated in many events including sprinting events (100m, 200m, 4 x 100m) his first 2 years and distance events (800m, 1600m and 4 x800m) his last 2 years. Besides track, he is a member of OEXC team and FBLA. After graduation, Alex will be pursuing an engineering degree in college. He will continue to run for exercise and recreation. 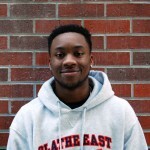 Alex would like to get a job related to engineering and also continue photography/videography as a hobby. Favorite memory: Running a 4 x 100m relay sophomore year with 3 other teammates from the thrower’s group. Advice to underclassmen: Continue to do track throughout high school even when it becomes tiring to go to practice every day. It is an unforgettable experience that you get to share with friends that is only available for 4 years. 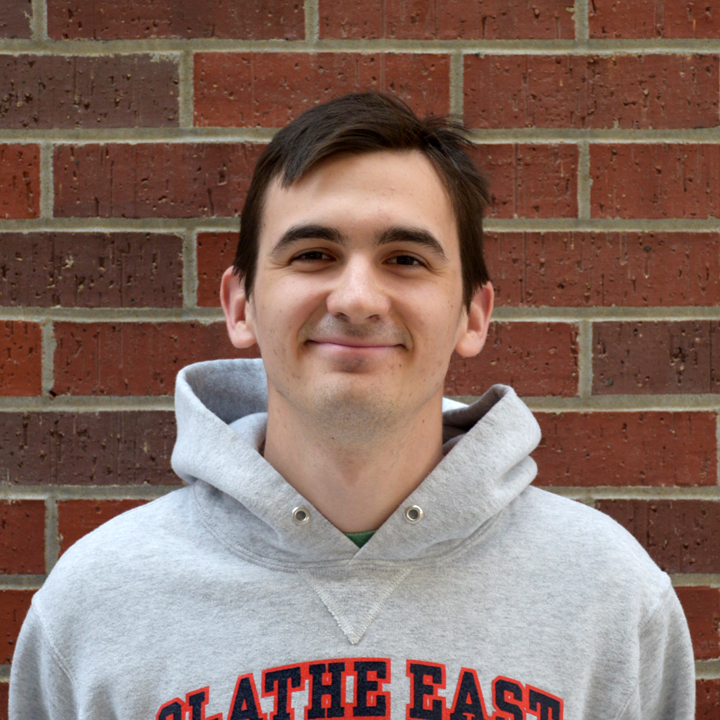 Alex Kirk – Alex has been a member of OE Track and Field for all four years. 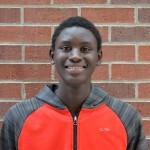 He has participated in the 4 x 800m and the 800m. 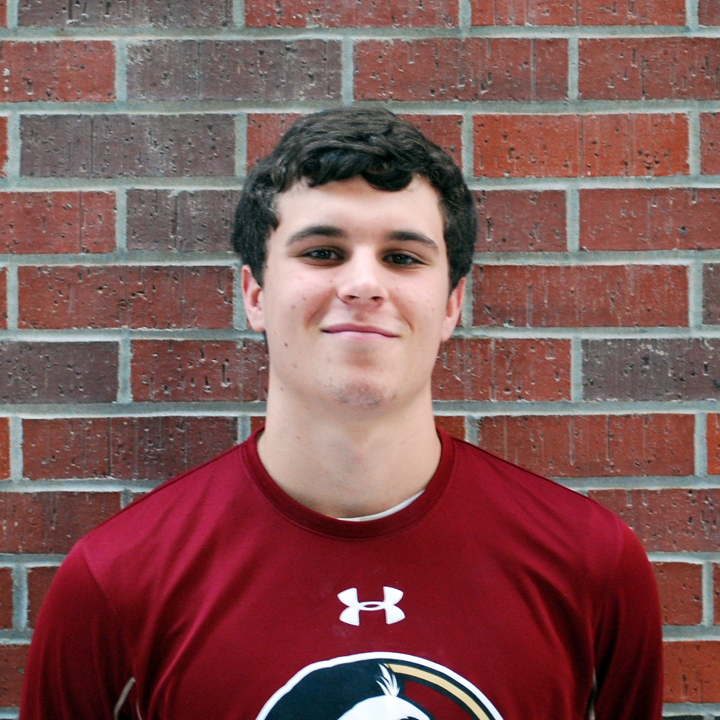 Besides his time on the track, Alex is a member of OEXC team, Hawkleaders, NHS, SNHS, FCA and SALT. 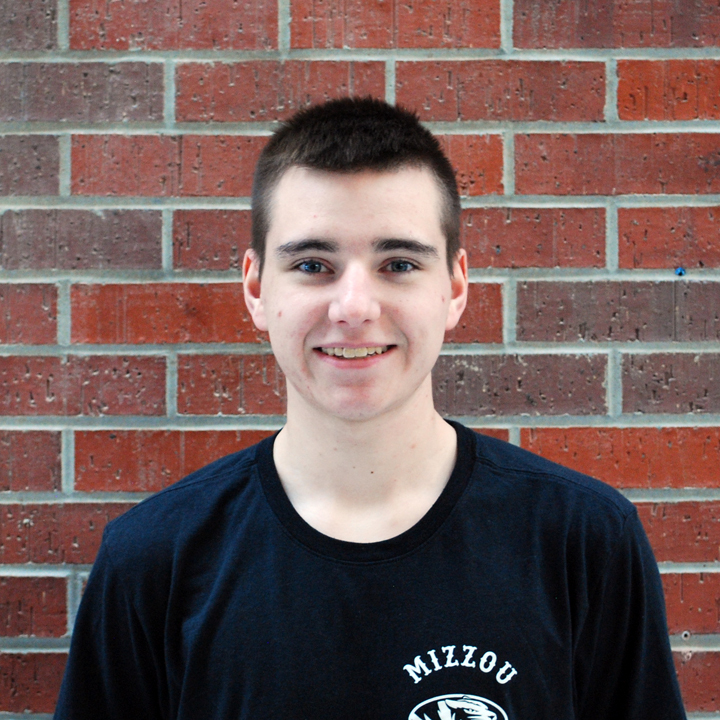 Alex will continue running cross country and track in college as he heads to University of Central Missouri in the fall. 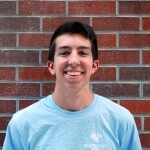 After college, he would like to pursue a career as a physical therapist. Favorite memory: Bringing back trees for Coach Wally on the pre-meet runs. Advice to underclassmen: Continue to do what you love and don’t take any of the memories for granted, it’s over before you know it. 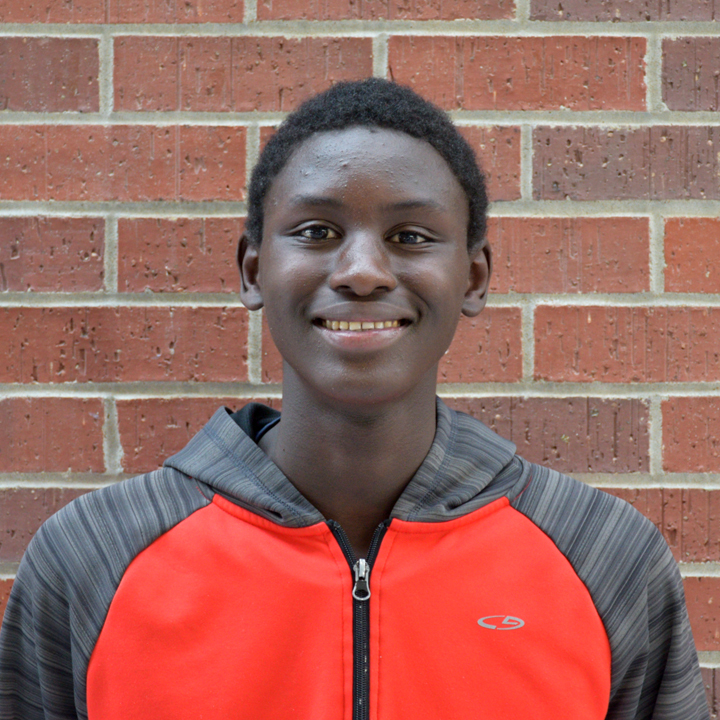 Tony Kosgei – This is Tony’s 3rd year as a member of OE Track. 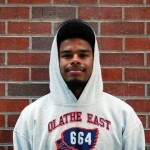 Before track, he was a member of the OE Soccer team. 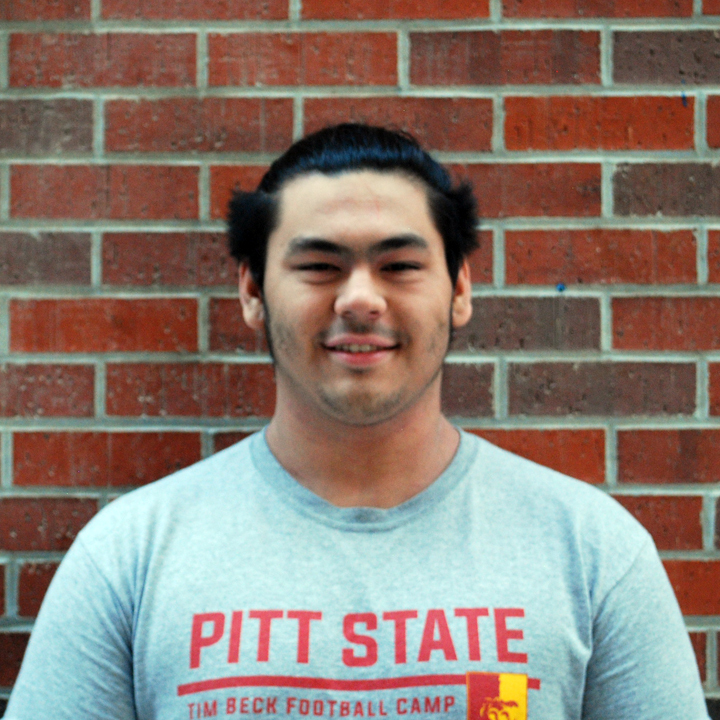 He plans to attend KU while still in the military. 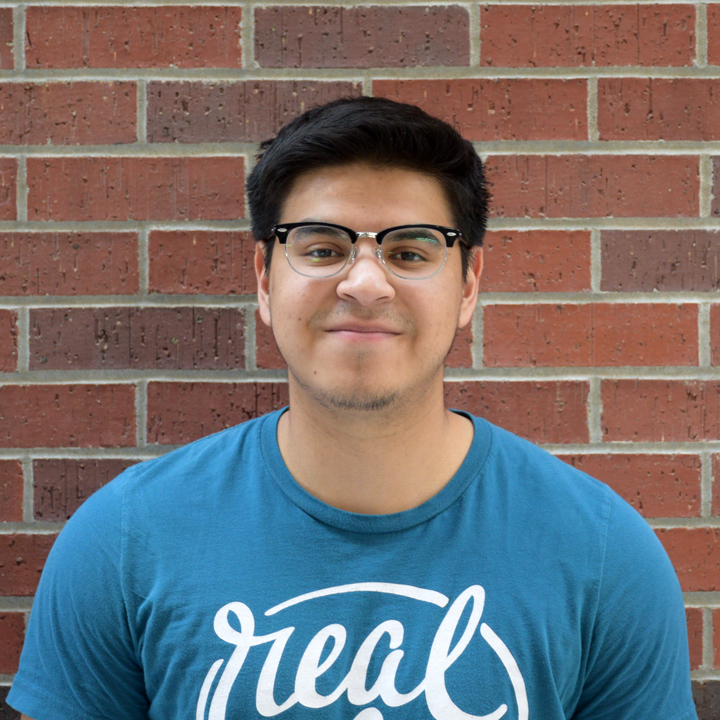 Tony’s ideal dream job would be anything to do with kids – possibly a pediatrician or a pediatric nurse. He would also like to go on some mission trips. Favorite memory: “My oh my oh my are there memories. I cannot pick a favorite, but one was when our leader Will Tindall and I went under a bridge and crawled through it. Another is chasing ducks on the indian creek. Another was my attempt to hopefully catch a snapping turtle but I refrained.” Advice to underclassmen: Cherish the moment. You can work hard, but also remember to play hard. It doesn’t hurt taking a fry or 2 here and there, but don’t go “Benelli Mode”. Keep your meal plan balanced. Also, running isn’t always about genetics. Emily Lucas – As a transfer to OE her sophomore year, Emily joined OE Track as a thrower in Discus and Javelin. 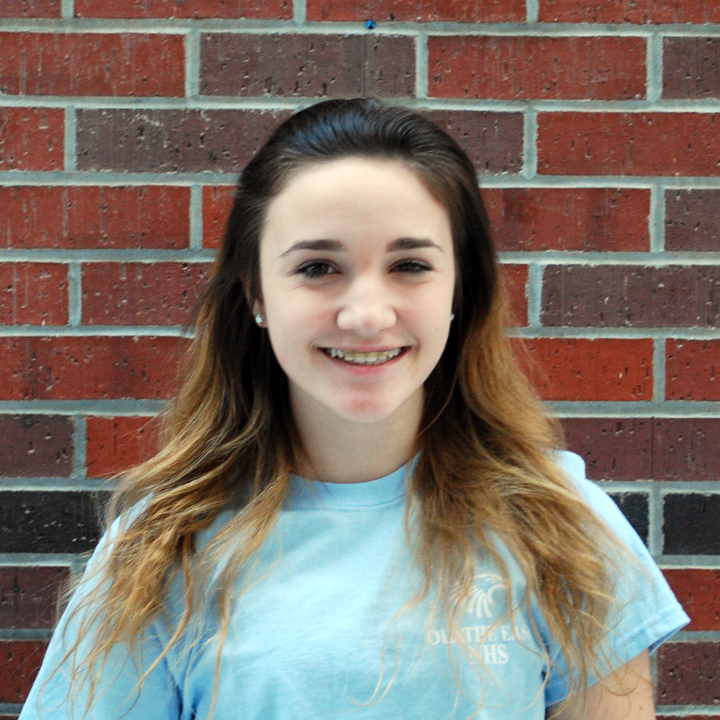 She also participates in theatre, NHS and Drama Club. After graduation, Emily will continue on to KU majoring in Mechanical Engineering. Her future plans are to travel and be a successful engineer in a nice firm. Favorite memory: Yelling at each other to “exit out the back” in the earlier meets so that we don’t scratch. Advice to underclassmen: Keep at it, you’re a freshmen, you have plenty of time to improve and throw farther and run faster. 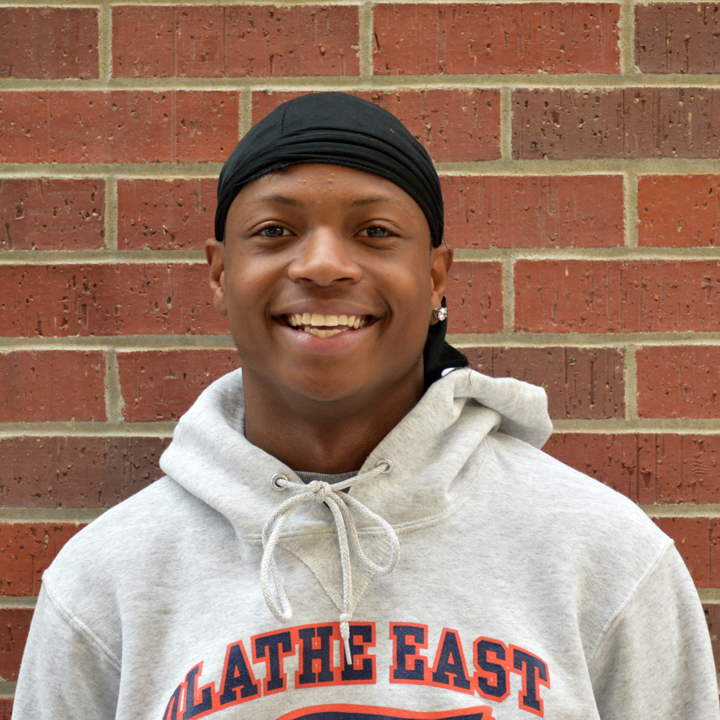 Triston Officer – As a 4 year member of OE Track, Triston has participated in 100m, 200m and 4 x 100m. 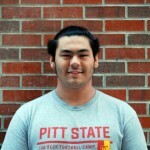 Besides track, he is involved with ATA Elite Martial Arts. 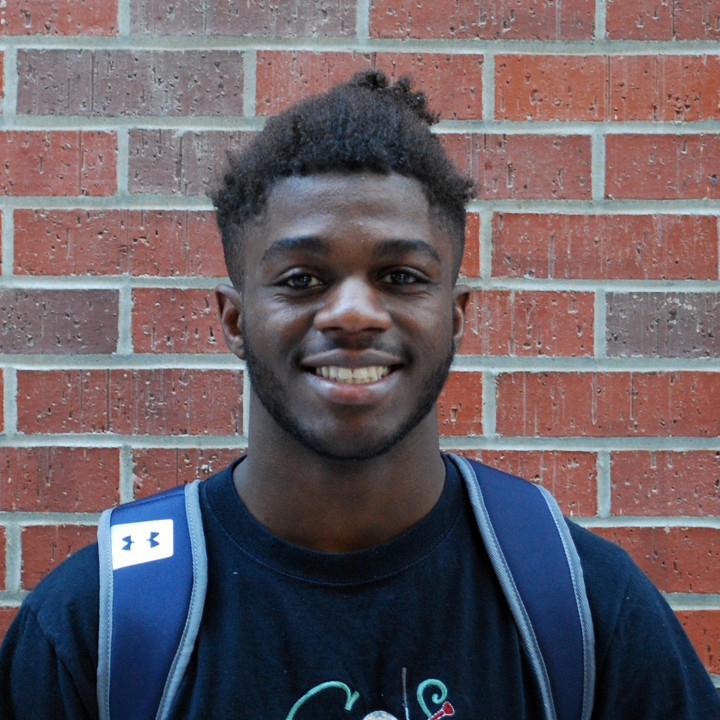 After graduation, he might be attending Langston University. 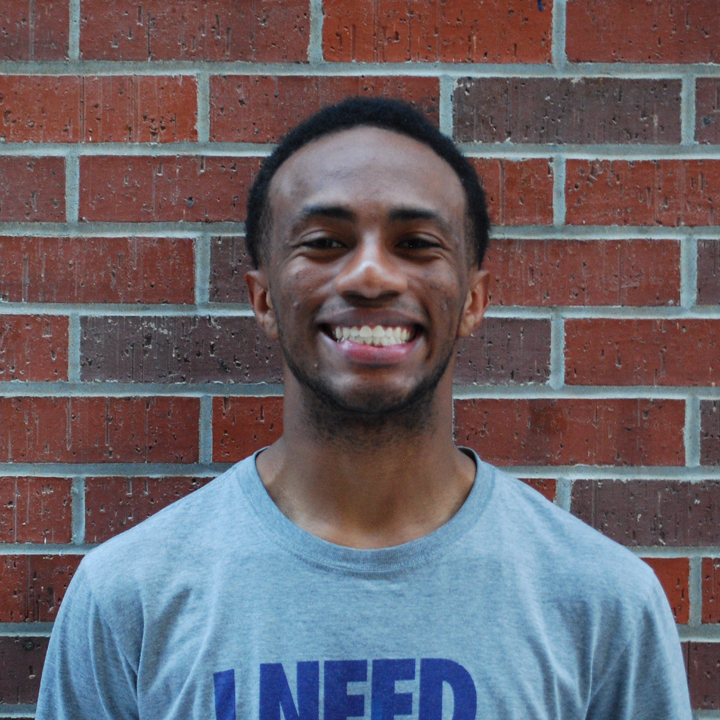 After college, Triston would like to start a career in a progressive city. Favorite memory: Baker Relays 2017. Advice to underclassmen: Work hard and stay focused. 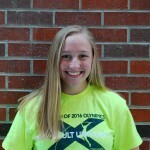 Rachel Post – This is Rachel’s first year on OE Track running the 4 x 800m, 4 x 400m and other distance events. She is also a 4 year member of the cross country team, 3 years on the soccer team, 4 years on Student Council, FCA leader for 2 years and NHS. After graduation, Rachel will be attending the University of Wyoming to study Environment Science and she plans to keep running for fun! She would like to live in the mountains for a couple of years or perhaps “go off the grid somewhere”. Favorite memory: My teammates…they make everything worth it. Advice for underclassmen: Stop stressing. Running is fun. Be glad you can move and run and jump and dance and sing. Run for joy and for God. 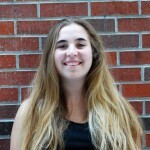 Gabriella Stage – A 2 year member of OE Track and Field, Gabriella is a thrower in shot put and discus. She is also involved in softball and volleyball. 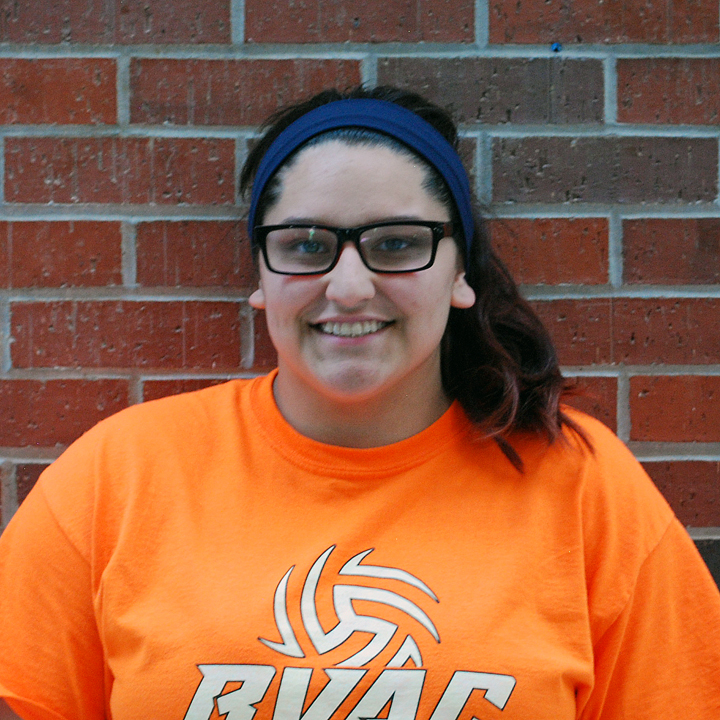 After graduation, Gabriella will be heading to Peru State College to major in Biology. She would like to become a Zookeeper. Favorite memory: Running in the Hog Relays at Baker Relays and the prize being a box of Oreos. Advice to underclassmen: To get better, you have to have a good attitude and work ethic. 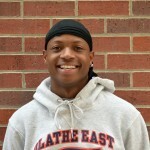 Bailey Turner – Bailey’s 4 years on the OE Track and Field team have been spent doing Long Jump, Triple Jump and High Jump. After graduation, Bailey is headed to Park University on a track scholarship. She would like to pursue a career in TV. Favorite memory: Winning State in the Long Jump and breaking the school’s record. Advice to underclassmen: Don’t be cocky! 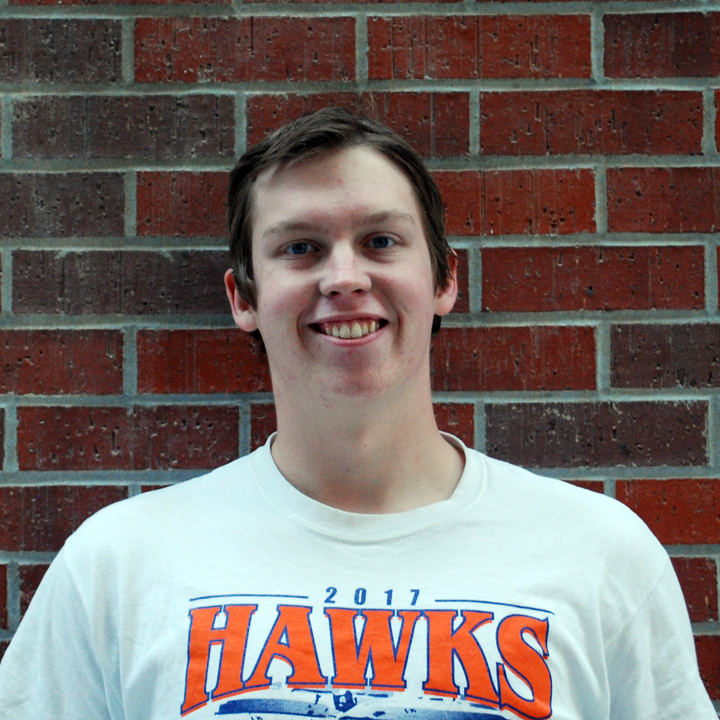 Travis Wiebler – Travis has spent four years on the OE Track and Field team as a Javelin thrower. 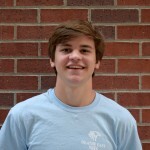 Other activities he is involved in include: FBLA, school video announcements and Boys State Representative. At this time, Travis is deciding between Arkansas or KSU. He plans to major in Marketing. 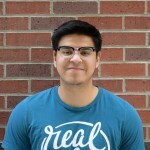 After college, he would like to help start a successful company and live in a big city. Favorite memory: The thrower relay which is a showcase of the slowest people on the team drafting a continuous 4 x 100 relay team for part of our conditioning at practice. It is always super competitive and a lot of fun. Advice to underclassmen: It pays to start working hard now instead of later, every bit you do now makes it easier down the road and will make you more successful. 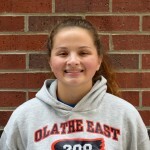 Katie Wingate – Katie is a three year member of OE Track and Field participating in 100 hurdles, 300 hurdles and 4 x 100m. She is also a member of Varsity Cheer, Varsity Gymnastics and SALT. After graduation, Katie is thinking about heading to the University of Kansas, but will be hanging up her spikes. Her future plans are to have a job and family. Favorite memory: My 6 meet PR streak Junior year and placing 3rd at Sunflower League meet. Advice to underclassmen: Don’t slack off at practice because you’re only cheating yourself. The numbers will show at meets. Cole Young – This is Cole’s third year as an OE Track and Field member participating in 1600m, 800m and the 4 x 800m. 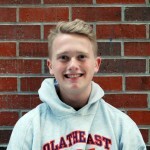 Besides track, Cole is a 4 year member of the OEXC team, 2 years in FBLA and an inductee in NHS. 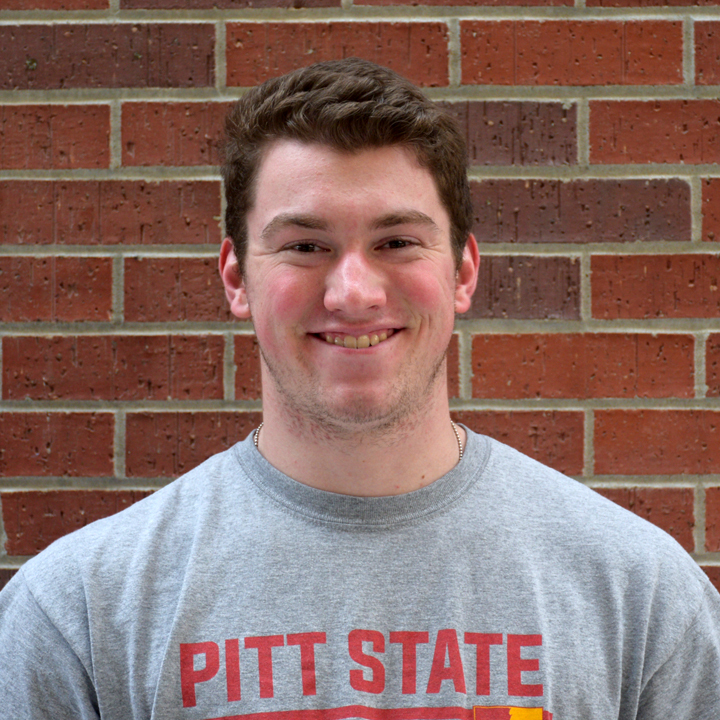 After graduation, Cole is headed to Kansas State University to major in Athletic Training. His ultimate goal after achieving his masters in Athletic Training is to become an athletic trainer for a professional sports team. Favorite memory: Running in my first Varsity track meet. I was really excited and was even able to get my non-track friends to come out and watch me run. Advice to underclassmen: Trust the process. OE has gotten so many State championships with the coaching staff that we have. The coaches know how to push you in workouts but at the same time they give you recovery days so they can push in the workout the next day. Lastly, the coaches are the best at knowing what events you would be best at. If you think that you will not like the event that the coaches put you in, you should give it a try – Who knows? You might become a State Champion! Admin	March 29, 2018	Comments Off on 2018 Senior Class – NEW!